We, the elected student members of the UBC Board of Governors, voted against the proposed 2019/20 tuition increases. We understand that tuition is critical to the university’s function — it represents a majority of the revenues in our discretionary operating budget. But we disagree with this proposal on several grounds. Firstly, we do not believe there has been a sufficient case built that these increases are necessary. As governors, we understand the need to keep up with inflationary pressure and unionized pay increases. However, we have not — as we have requested throughout this process as early as May — been shown what the alternative would be. We understand that it may be best to undertake such an exercise among the Board and executive only, and then report the fact that we have done so publicly. We are concerned that not regularly performing a zero-increase assessment does not allow the Board sufficient information to properly assess this decision. Secondly, we and past student governors have raised a number of concerns about the consultation process and communications over the years. The manner in which we conduct this consultation, the questions we ask our students and the answers we receive shows that students believe this body does not listen to their concerns. To help alleviate this perception, governors requested a formal response from the administration to the students after the last consultation cycle. Student governors suggested this include a timely formal response sent to students after the consultation 2018/19, to demonstrate that we hear their concerns, communication of financial aid alongside the consultation and a possibility of differentiating annual increases across programs, particularly for professional programs. Although some attempts on other components have been made, we find the communications of the response to be lacking (it was only made available on the consultation website in a secondary menu, on March 29); no financial aid resources were mentioned in the emails students received on the consultation and we cannot find any exploration of differentiation for increases per program in this year’s proposal. We find this inadequate. Thirdly, we recognize the AMS and Students’ Union Okanagan’s submissions and concerns, and the 1,357 students who submitted comments. Lastly, we do recognize that the university will require more funding to operate. There is the expectation that the Integrated Renewal Program (IRP) — an upgrade of finance, HR and student service IT infrastructure — will deliver some cost savings in the long run, particularly when the associated capitalized expenditures have been paid off. Other universities have made serious commitments and launched disciplined, enterprise-wide cost-reduction efforts. We encourage a similar activity here, particularly one that can coexist with the IRP and the implementation of the IRP deliverables. We need to make sure that the cost structure benefits the academic community above all else. We would be happy to work with the administration to establish first steps and a policy framework for this kind of initiative. 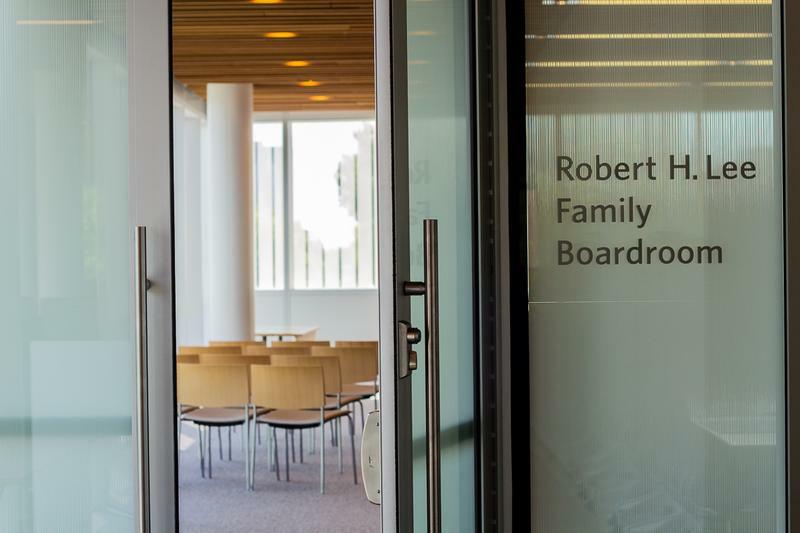 Jeanie Malone, Jakob Gattinger and Shola Fashanu are all student representatives on the UBC Board of Governors for the 2018/19 year. Malone and Gattinger both represent the Vancouver campus, while Fashanu represents the Okanagan campus.